Mirabella has certified 100 homes at the LEED Platinum level. 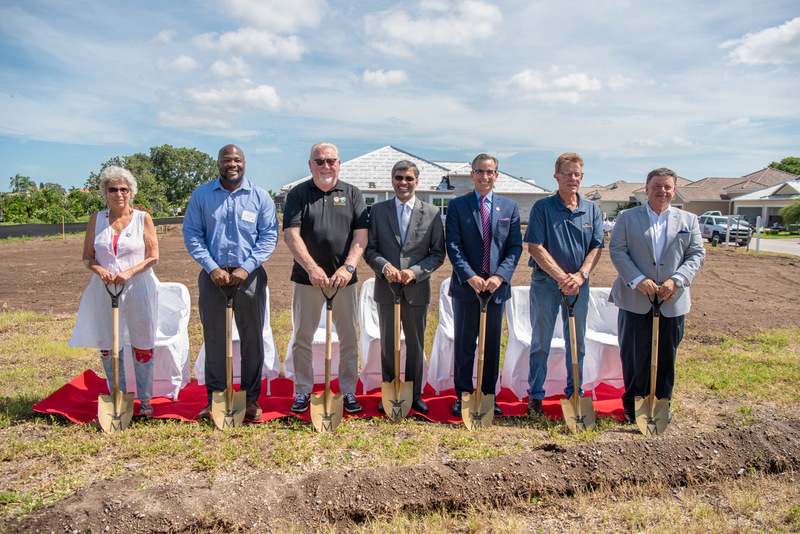 On June 26, Mirabella Florida, an eco-friendly community for older residents outside of Sarasota, Florida, formally celebrated the certification of its 100th home to earn LEED Platinum status. 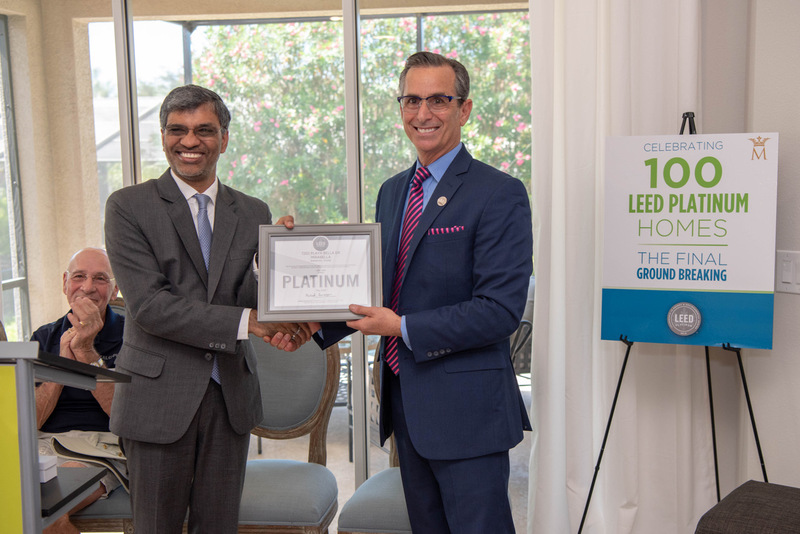 Mahesh Ramanujam, President and CEO of USGBC and GBCI, was in attendance to present the honor to Mirabella President Marshall Gobuty. To date, all of Mirabella’s homes have achieved LEED certification at the highest level: Platinum. Mirabella’s production-building process has increased the availability and decreased the costs of owning a green home. When the development is complete, it will feature 158 LEED Platinum homes, each using nearly 40 percent less energy than a conventional home and saving 2,500 gallons of water per person every year. “Marshall and his team lead by example," stated Ramanujam. "They have been longstanding pioneers in the green residential movement and are one of the premier LEED developers in the country. They’ve streamlined the design, construction and certification of sustainable homes, opening sustainable home building and living to everyone while showcasing the environmental, health and economic benefits." "Our goal was to change the market and increase access to eco-friendly, sustainably built homes," says Gobuty, a recipient of USGBC’s LEED Homes Power Builder recognition, a distinction that recognizes an elite group of residential developers who commit to LEED certification for more than 90 percent of their projects. "With the support of the USGBC, we’ve achieved that, and our residents, the community and the environment are the beneficiaries." The Mirabella team includes volunteers who have long been active in advancing USGBC’s mission through localized engagement and outreach through USGBC Florida's Myakka River Branch. Leading the way has been Peggy Christ, Broker/Owner of Bee Green Realty, and a member of the branch's volunteer leadership team. "Many people have been shut out of the green revolution, especially when it comes to living in a sustainable home, due to a lack of accessibility in this part of the industry" said Gobuty. "To make a meaningful impact on climate change, green living needs to be an option available to all homebuyers. We’re making that happen."